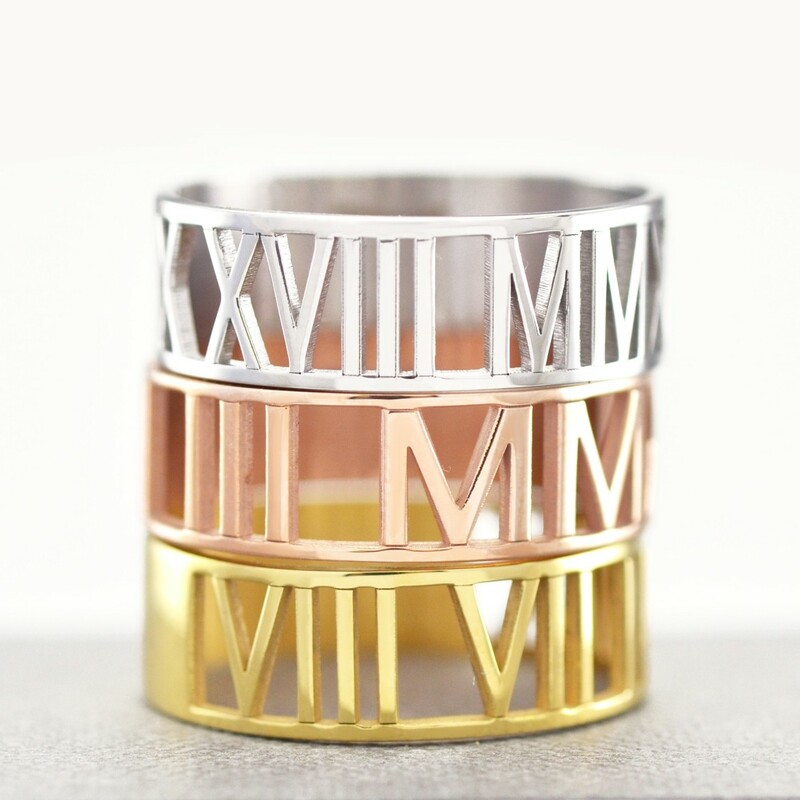 The POSH Date Ring is a beautiful and fashionable way to wear a meaningful time of your life. 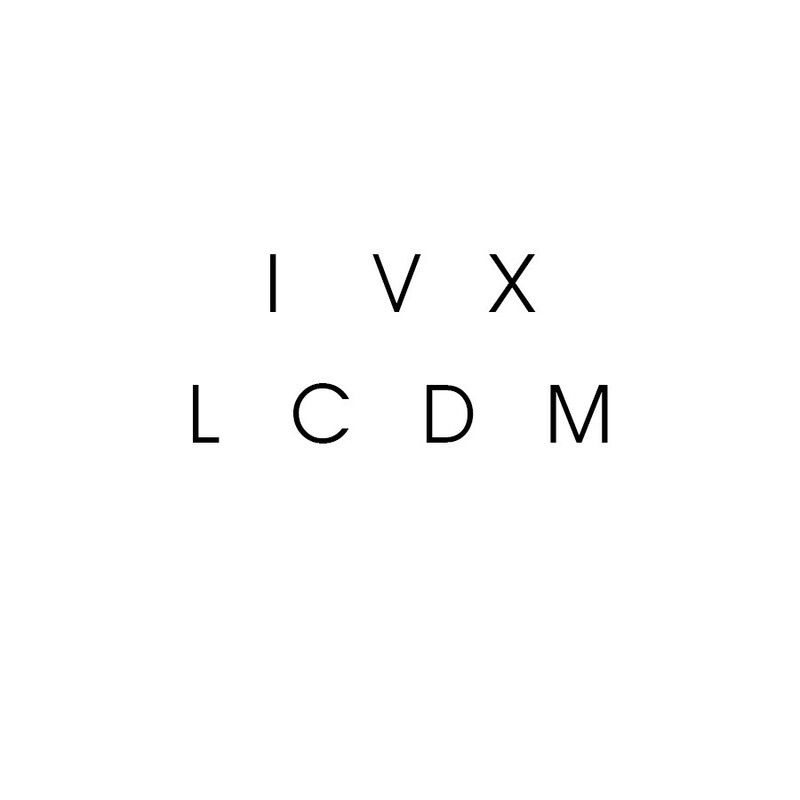 Display your special date in Roman Numerals. 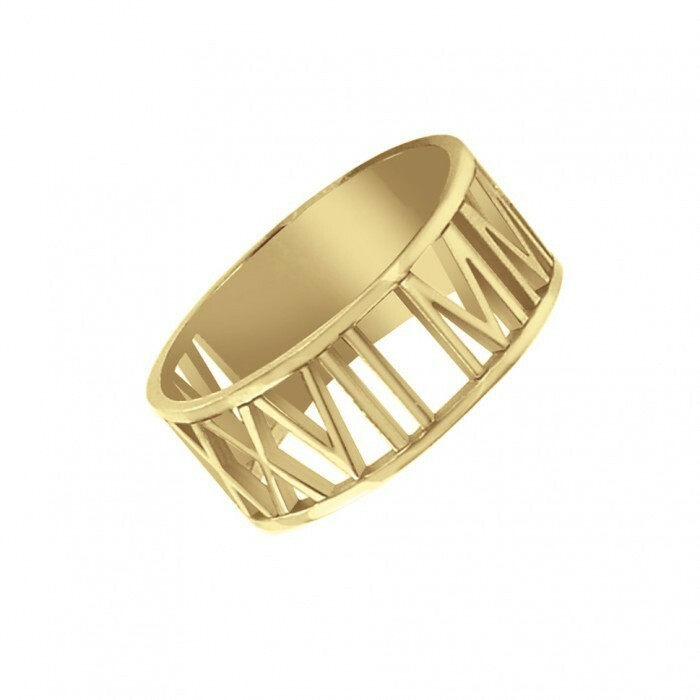 Available in sterling silver and 10K or 14K gold. *Please measure your ring size before ordering. We have a 1/4 size tolerance on all rings. *Keep in mind when measuring your size, during the summer your fingers swell and during the winter your fingers shrink. *Made with 18 gauge materials. ***Standard shipping is USPS 2 Day Priority. If you would like to add signature required to your packaging please contact us prior to placing your order for the shipping upgrade.